I am sure you must be confused where to go for Christmas 2019. Hold on I have a few more places to show you before you jump on your final decision. So hang on until I finish my Christmas destination series and then you can decide. You have already read how to enjoy Christmas in Disney Land. Today I am introducing Chrissy founder of travel passionate blog and also works in the marketing field. She shares her tips of the best way to enjoy Christmas in Bratislava. Situated along the Danube River, and bordered by Austria and Hungary, is the Slovak Republic capital of Bratislava. 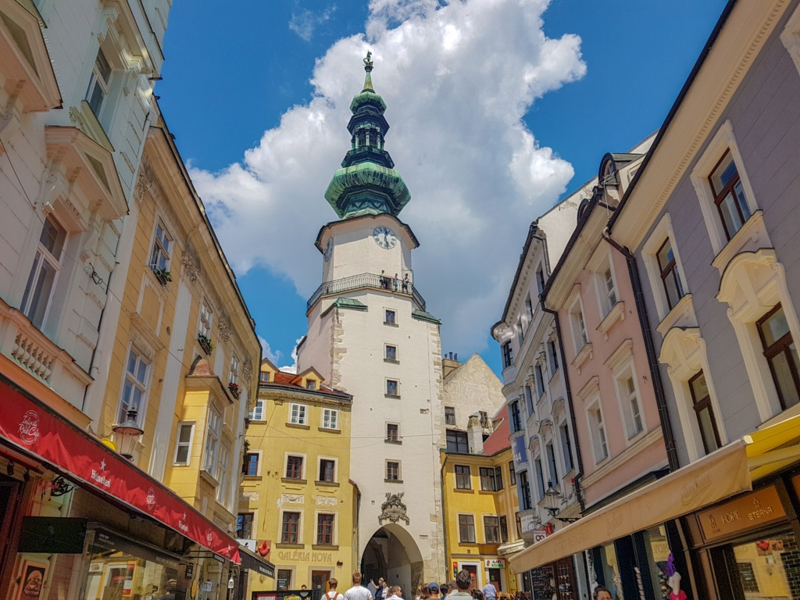 Although Bratislava is one of Europe’s smallest capitals, it is a growing and dynamic city. If you are thinking of visiting Bratislava soon, you might want to plan your visit during the Christmas season. Bratislava has a long tradition of Christmas markets and they can be found all over the city from the end of November through Christmas Day. Bratislava’s Christmas markets are less commercial than those of neighboring Vienna or Budapest. Market stalls are filled with quality Slovak handiwork such as pottery, porcelain, and wood carvings. Of course, you can buy gifts there, but it’s not all about the shopping. Pick up a hot mulled wine or punch to warm your hands. While many of the European Christmas Markets delight in their mulled wine, Bratislava is more intent on their uniquely flavored alcoholic punches. Mingle with the locals as you try traditional Slovak food such as lokshe, potato pancakes, klobása, poppy seed strudel and more. At the Main Square market, the Christmas atmosphere is amplified by live music performances. 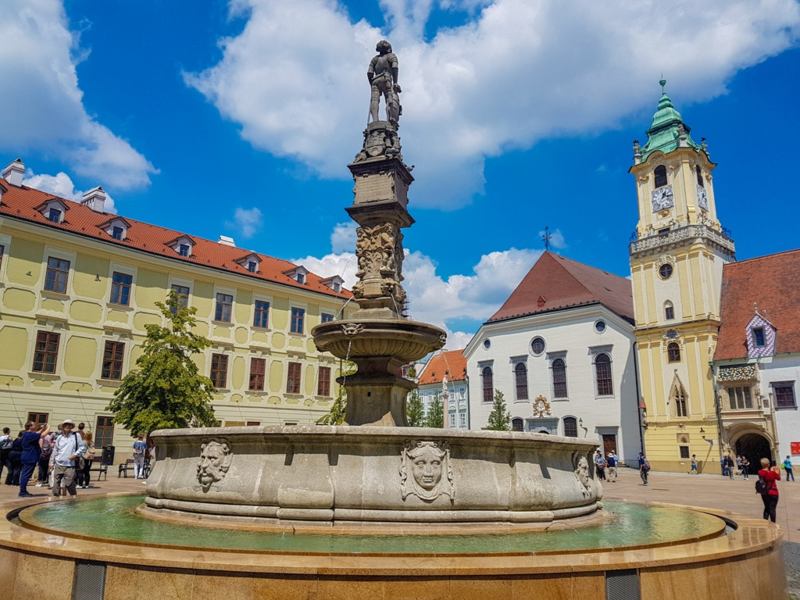 You can also enjoy the music of the season in Bratislava at the Cathedral Martin, and other churches around the city, where local choirs and musical groups perform Christmas concerts. Hockey is an important part of life in Bratislava, so catch a KHL match in their full ice hockey stadium. The energy is through the roof and it will the memory of a lifetime. Since ice sports are so important to locals, it’s no surprise that ice skating would take an important role in their Christmas festivities. Skate under the open sky at rinks located on Hviezdoslavovo Square and Primatial Square throughout the winter. If getting on the ice isn’t in your Christmas comfort zone, visit the Slovak National Theater for their annual rendition of a holiday favorite, The Nutcracker.